Andre Roussimoff is known as both the lovable giant in The Princess Bride and a heroic pro-wrestling figure. He was a normal guy who'd been dealt an extraordinary hand in life. At his peak, he weighed 500 pounds and stood nearly seven and a half feet tall. But the huge stature that made his fame also signed his death warrant. Box Brown brings his great talents as a cartoonist and biographer to this phenomenal new graphic novel. Drawing from historical records about Andre's life as well as a wealth of anecdotes from his colleagues in the wrestling world, including Hulk Hogan, and his film co-stars (Billy Crystal, Robin Wright, Mandy Patinkin, etc), Brown has created in Andre the Giant, the first substantive biography of one of the twentieth century's most recognizable figures. 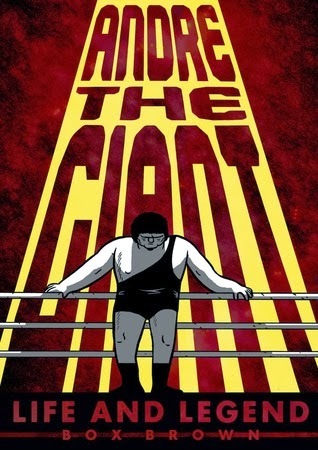 Look, when someone writes a graphic novel biography of Andre The Giant, I have no choice but to read it. Call it fate or destiny or nerd cred, but it had to be done. And thank goodness, because Andre the Giant: Life and Legend by Box Brown was a trip worth taking. Even though I grew up with this gargantuan man in my pop culture lexicon, I still know next to nothing about him except that 1- he wore that one-arm outfit for wrestling that caused my husband & I to refer to all shirts/dresses with one arm as "Andre The Giants," 2- he's hilarious and adorable in the 1987 classic The Princess Bride, and 3- he has a posse. I can imagine it's pretty much the same for many others of my generation, and I expect it's even worse for anyone younger than me. He really is a mythical figure for anyone born after his death in 1993. 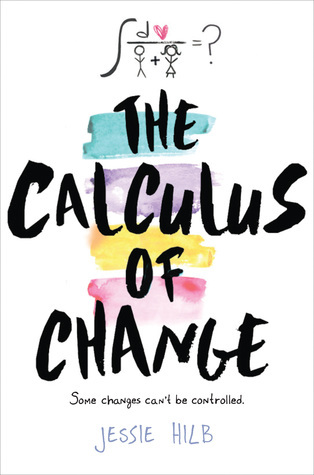 The novel is touted as a biography, and it certainly is, but it's more of a series of stories told in a linear timeline than a traditional biography. Box Brown's note at the beginning explains where the stories came from and why they can be taken with a grain of salt. The drama of wrestling is also explained very well in the author's note, so I wouldn't skip it. The world of entertainment wrestling has changed so much from the old days, and even though I knew some of these terms by hanging out with wrestling fans, there's even more to the world that never occurred to me. It only makes Andre's story more interesting. You can tell Brown is a true wrestling fan; his meticulous words clearly show that. The graphic novel format is the perfect way to go to tell these stories. It's one thing to hear Hulk Hogan talk about their "rivalry" or read Billy Crystal's account of a passed out Andre. It's definitely better to get the visual version, especially for moments like these where there were no cameras rolling. My favorite panels were of Andre and Terry Funk watching The Princess Bride together and Andre's guffaw at his own "anybody want a peanut?" rhyme. It adds a level of humanity to this icon in a way little else can. I just love that. Brown does a great job of showing you exactly what you need to see without showing you too many details. It's simple, but it works here. The stories speak for themselves, and the art is here to enhance that. This is best displayed during the illustrated fights, in which the artwork and Brown’s fight commentary go hand in hand. Brown takes you on a journey through every side of Andre-- the good, the bad, the occasionally drunk, and the uncomfortably cramped. I especially liked the full page panels that explained acromegaly, which was why Andre was The Giant. Within these pages, no panel is wasted. This is a great book for anyone who's ever heard of Andre Roussimoff, the Eighth Wonder of the World. Alternately poignant and fun, angry and silly, Andre the Giant: Life and Legend lives up to its name and its subject matter. You should read it, boss.